With zinc. 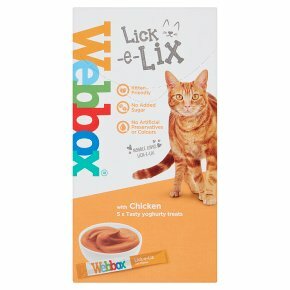 The treat your cat will love.Made with a soft yoghurt-like texture, Webbox® Lick-e-Lix with Chicken and Zinc are the totally new and unique treat for your cat. These tasty and nutritious sachets make the perfect daily treat that your cat will simply adore!